Client, a single parent with a young child, was charged with OWI-4th offense. Of paramount concern to the client was avoiding going to jail, and avoiding the mandatory one-year waiting period for an occupational license. Through careful investigation and intense negotiations with the prosecutor, the client ultimately avoided spending any time in jail had the occupational license waiting period reduced to 30 days. During the week prior to the scheduled jury trial, client was arrested again for OWI, which would become a felony if the client was convicted of the earlier pending OWI. Because Attorney Cohen was successful the previous year in getting another OWI-3rd dismissed for the same client, the client faced a real likelihood of a prison sentence if convicted of the new felony OWI. The new felony charge was aggravated with a high BAC and resisting arrest resulting in officer using his taser on the client. Ultimately, Attorney Cohen was able to get the client day-for-day credit for inpatient alcohol treatment, and immediate electronic monitoring bracelet for the 45 days the client had to serve on the felony OWI-4th. Client was stopped for crossing the centerline and had a blood test in excess of .20. Attorney Cohen successfully argued that the client was denied his request for his own blood test which meant that the prosecution could not use the .20 blood test it obtained. Outcome: The OWI and PAC charges were ultimately dismissed in exchange for the client paying a ticket for Operating Left of Center. Charge: OWI-2nd offense based upon a prior OWI in another state. The out of state conviction was ultimately dismissed and expunged, reducing the Wisconsin charge to a first offense. Outcome: The client avoided jail, waiting period for occupational license, and ignition interlock. Charge: Client, who held a CDL, was charged with first offense OWI with a BAC of 0.13. At the jury trial, Attorney Cohen successfully got the breath test thrown out, leaving the prosecutor with no alcohol test for the jury. Notwithstanding a squad camera videotape, the jury took just 10 minutes to deliberate before finding the client not guilty. Client was charged with OWI-5th, a felony, which occurred while the client was on probation for his 4th OWI. To complicate the case, the client was arrested shortly after a traffic accident and had a revoked driver’s license. Outcome: Attorney Cohen successfully amended the charge to OWI-4th, a misdemeanor, avoiding the felony consequences and a likely prison sentence for his client. The client’s major concerns were the mandatory jail sentence of between 30 days and one year, as well as the one year waiting period for an occupational license. Outcome: On the eve of the jury trial, Attorney Cohen was able to get the prosecutor to agree to a recommendation for no jail, and further agree to reduce the occupational license waiting period to 45 days. Client held a CDL and was an interstate trucker. After being involved in a motorcycle accident, he was arrested for OWI. Client believed he was finished as a truck driver as a result of the arrest. However, after thorough investigation, challenges to the arrest and use of the blood test were developed, which ultimately led to the OWI charge being reduced to Inattentive driving. Outcome: OWI charge being reduced to Inattentive Driving. Client was involved in a two-car collision after crossing the centerline at an intersection. Two witnesses observed the accident. Officers stated that the client was nearly falling over at the scene, and failed all field sobriety tests. Client was arrested for OWI. A videotape of the incident showed the client to appear intoxicated. He refused to submit to the alcohol test, resulting in an additional charge. After investigation, a challenge was made to the charge of Refusal to Submit to Alcohol Test on the grounds that the officer failed to advise the client of the rights required by law. Outcome: That challenge, coupled with the fact that there was no alcohol test, led to the amendment of the drunk driving and refusal charges. Client was arrested for OWI-3rd while giving someone a ride home. A blood test showed .098% alcohol. Several pretrial hearings provided transcripts showing that the officers observed few signs of intoxication. Additionally, careful investigation of the blood analysis showed malfunctioning of the blood testing equipment. Outcome: After a year and a half of litigation, the prosecutor agreed to dismiss the charges. Client was arrested for OWI which meant loss of his job if convicted because he holds a CDL. A breath test showed .184/.164 alcohol level. There was also videotape from the squad camera which showed the client’s truck crossing the centerline and fog line more than a half dozen times, as well as falling back toward his truck upon exiting his vehicle. Despite the severe consequence that the client faced if convicted of OWI, the prosecutor had made several public statements that no one should get a break simply because they have a CDL. The case proceeded to a jury trial. After the prosecutor’s case was nearly completed, a juror became ill, which would have required a re-trial of the case. Outcome: However, quick maneuvering led to a disposition whereby the prosecutor agreed to amend the OWI charge to a non-traffic offense. The client retained his CDL and his job. Client, a self-employed carpenter, was charged with OWI-3rd offense. The blood alcohol test showed .32 BAC, and the client appeared intoxicated on the squad car video. Client was facing a lengthy jail sentence and a 3 year driver license revocation, with a 1 year wait before being eligible for an occupational license. A conviction would have resulted in the loss of his business, and he was the sole breadwinner for the family. A successful challenge was made to exclude the counting of his last OWI conviction, resulting in the charge being amended to a first offense. Outcome: The client was spared from any jail sentence and never was without his driving privilege. Charge: OWI-2d and Open Intoxicant in Vehicle. Client was stopped for travelling too slow, having a defective turn signal, loud exhaust, weaving out of his lane, and defective license plate lamps. He tested .10 on his breath test and had a nearly full Bud in the console. The trooper testified in pretrial hearings that the client failed all field sobriety tests. A thorough review of the history of the breath test machine disclosed that the machine had failed its accuracy test 30 days after the client had been tested. Outcome: When this was brought to the attention of the prosecutor on the day before the jury trial, the case settled. Client ended up with 3 minor traffic tickets and no drunk driving. Client was charged with OWI-3rd and had 2 blood tests taken: both above .20. Investigation of the case revealed that the arresting officer had made some significant errors in his paperwork, leaving considerable doubt as to whether he had followed proper protocol in the arrest. Pretrial motions were filed challenging the arrest and the use of the blood test. At the motion hearing, the prosecutor conceded that the State would not likely be able to meet its burden of proof at either the motion hearing or at the jury trial, and agreed to dismiss all charges against the client. Outcome: The prosecutor agreed to dismiss all charges against the client. Needless to say, the client left the courthouse a happy camper. Client was charged with OWI-3rd and had a blood test of .318, which would have put him in the highest sentencing category. One of his prior OWI convictions was successfully challenged, and the current offense was reduced to a first offense OWI. Outcome: Offense was reduced to a first offense OWI. No jail and no one-year wait for an occupational license. Client was charged with OWI-2d (after we successfully got him out of another OWI). The trooper stopped him for having a loud exhaust and a defective license plate lamp. A mechanic testified that he examined the vehicle on the morning after the arrest and found the exhaust and the light to be working fine, just like it was on the day of the court hearing. The judge agreed to go outside and inspect the car himself, finding that the exhaust sounded normal to him and the light was working. The judge ultimately ruled that the prosecutor did not meet its burden of proof and granted the Motion to Suppress All Evidence. Outcome: Case dismissed. Client was charged with OWI-Causing Injury in a tough county, facing significant jail and no occupational license. This would have cost him his job. Outcome: The charge was ultimately amended to a simple OWI, with no jail and an immediate occupational license. Client charged OWI-3rd Offense risked losing his job which requires him to travel throughout the state, due to the one-year waiting requirement for an occupational license. Outcome: A last minute trial was avoided when the prosecutor and judge were persuaded to back-date the conviction, allowing the client an immediate occupational license. Client charged with OWI-Causing Injury. Case was ultimately amended to a simple OWI, with no jail, using a defense that the driver did not cause the injury to the passenger. Outcome: Case was ultimately amended to a simple OWI. Client was charged with OWI-2nd with a very high alcohol level. The prosecutor asked the judge to impose the sentence according to the guidelines: 40 days in jail. The client had performed a substantial amount of community service before his final hearing. Outcome: The judge was persuaded to impose the minimum 5 days in jail. Client, a single parent with a young child, was charged with OWI-4th offense. Of paramount concern to the client was avoiding going to jail, and avoiding the mandatory one-year waiting period for an occupational license. Through careful investigation and intense negotiations with the prosecutor Outcome: The client ultimately avoided spending any time in jail had the occupational license waiting period reduced to 30 days. Super Lawyers is a rating service of outstanding lawyers from more than 70 practice areas who have attained a high-degree of peer recognition and professional achievement. Barry S. Cohen, is proud to have been selected as one of Wisconsin’s Super Lawyers every year since 2006. Barry S. Cohen, has achieved a rating of 10.0, the highest rating available from AVVO, one of the nation’s premier lawyer ranking databases. 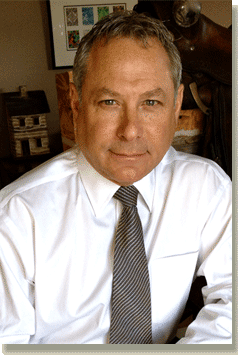 Barry S. Cohen, was ranked one of the nation’s best trial lawyers in 2012 and 2013. Membership is extended solely to the select few of the most qualified attorneys from each state who demonstrate superior qualifications of leadership, reputation, influence, stature and public profile.